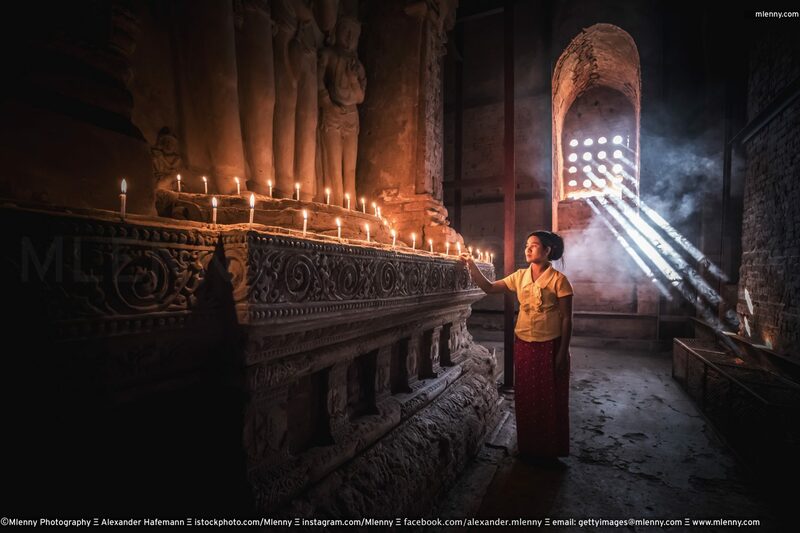 Burmese woman in traditional clothing standing inside a Buddhist temple, lighting candles worshipping and praying to Buddha. Ambient natural light beams shining through the window of the temple pagoda. Bagan, Mandalay, Myanmar, Asia.